Starting next month the salvage operation for the capsized Costa Concordia will begin, with American and Italian companies being chosen to work together to bring the $600 million cruise ship back to port in one piece. 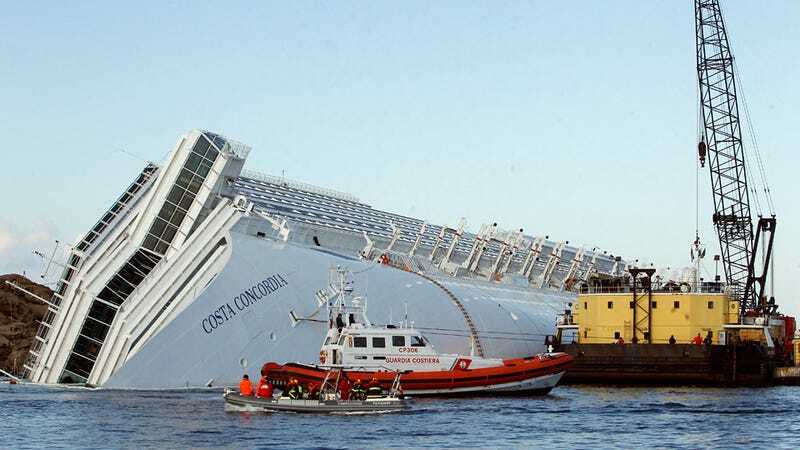 Initially, plans to just dismantle and scrap the entire ship were thrown around, but now an Italian company, Microperi, will be charged with repairing the tears in the hall underwater. While a US company, Titan Salvage, will use gigantic inflated airbags to raise and float the ship back to a nearby port, now that the 2,000 tons of fuel has been safely pumped out.